Maintaining good health depends on quality, satisfying rest and easing discomfort in safe and natural ways. Relaxation, comfort and good sleep do more than make us feel good. They're vitally important in helping our body repair itself, resetting mental processes and restoring our energy after each day's challenges. Relaxation is the act of relaxing and can be defined as the release of tension and the refreshment of the mind or body. Relaxation differs from rest, in that relaxation is our mind’s way of rejuvenating, and can assist in reducing the arousal we experience from stress and/or anxiety. While rest occurs while we are asleep, relaxation happens while we are awake. Relaxing has been shown to improve mood and cognitive functioning, such as decision making and memory, and lowers the risk for depression, anxiety, and other heart-related issues. When we relax, we boost our immunity and can curb our desire for sugary fatty treats. Relaxation also improves our ability to cope with adversity and helps to improve our quality of sleep. Rest and relaxation work hand in hand however, one is not mutually exclusive from the other. It is important that we invest time in both rest and relaxation, to optimize our mental and physical health. Make sleep and down-time a priority, particularly when you have had a stressful day both mentally and physically. Listen to your body and take time out for yourself. Remember, to give your best, you must be at your best. If you do not look after yourself, who is going to do that for you, this is the fundamental principle of Self Care, so make R&R part of your daily Self Care Awakening. The Nikken Wellness Home offers innovative technologies and products that promote relaxation, performance and rejuvenation to combat effects of discomfort, fatigue and stress, while providing support that everyone needs, every day. Nikken products combine advanced technologies and physical principles based on natural energies to enhance rest and relaxation. Here are just a few of our favorite Wellness Home products that fall in to the Rest and Relaxation category. 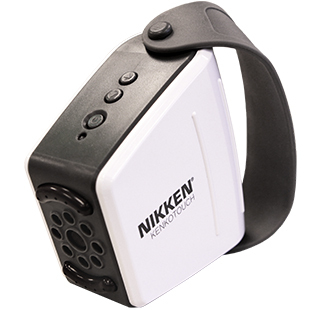 Nikken introduced the original Magsteps® in 1975 — the company’s first product. When your feet hurt, your whole body knows it. 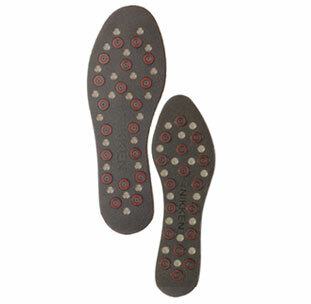 But you can be relaxed and comfortable even if you’re on your feet all day, thanks to Nikken insoles. A major step forward in design and engineering, mStrides feature patented DynaFlux® Magnetic Technology and exceptional comfort. Patented DynaFlux provides 100% coverage and intensifies the magnetic field for greater tissue depth. With mStrides in place, walking creates a dynamic energy flow — in effect, a magnetic field generator inside your shoes. The mStrides surface is long-wearing, does not absorb moisture or odor and is ventilated to stay cool. These are the most advanced and durable insoles in the world. Massage is an effective way to ease aching muscles. A deep-tissue massage can help loosen tight muscles, ease discomfort and relieve stress. A good massage can produce positive results even for those who enjoy excellent health. The KenkoTouch® is a unique, advanced system that gives you a heightened magnetic massage experience. Compact, portable and a quick, effective means to have a relaxing massage experience. This advanced pair of massaging spheres can help you feel relaxed and reenergized, in minutes! Heather and I both have them in our vehicles and at home. One resides in my golf bag and one in Heathers gym bag too. This lower-back pad has contoured edges, flexibility and cool ventilation for all-day comfort. Plus, it’s the only lower-back support product with patented DynaFlux® Magnetic Technology. This is a very versatile product that can have many uses for relief of discomfort. Simple, effective and easy to use, these are staples in our Wellness Home for relaxation. William C. Dement, M.D., Ph.D., Stanford University, is one of the world's leading authorities on sleep. He is sometimes referred to as the father of sleep medicine. To quote Dr. Dement, “Healthy sleep has been empirically proven to be the most single important determinant on predicting longevity, more important than diet, exercise and heredity.” Matthew Walker, a professor of neuroscience and psychology at the University of California, Berkeley agrees, "I used to suggest that sleep is the third pillar of good health, along with diet and exercise, but I don't agree with that anymore. Sleep is the single most effective thing you can do to reset your brain and body for health." Sleep Matters and getting enough sleep is one way that we all can be healthier, more productive and happier. Sleep is a vital component of every Wellness Home. Get at least 7.5 to 9 hours of quality sleep per night with the Nikken Kenko Sleep System and take time for relaxation daily to BE HEALTHY BY CHOICE, NOT BY CHANCE. Thank you for making you the center of your circle.